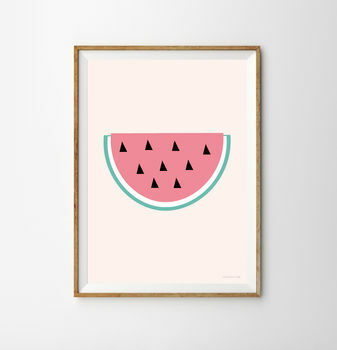 We do love a Watermelon print! They are simply perfect to develop their creativity and imagination! 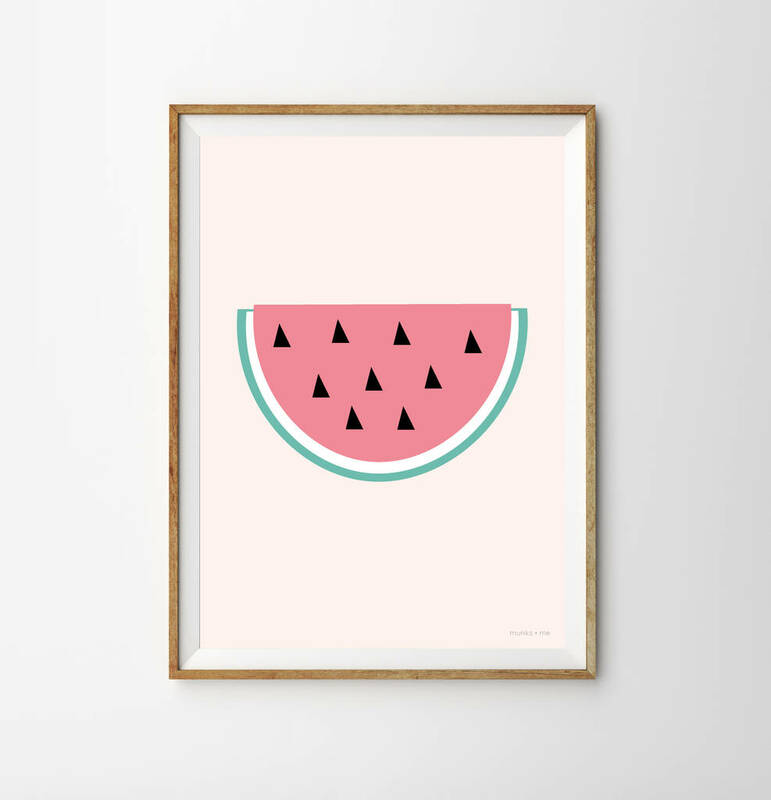 I have designed the prints in such a way that you can mix and match and combine them with your own unique decor style. You can team up the Watermelon print with our Flamingo print to make a cute set! Available in two sizes, A4 and A3. The posters are designed and printed in the UK so you can be sure they are a high-quality product. To ensure that all the prints arrive in perfect condition we package them in a protective cellophane sleeve within a flat hard cardboard envelope with a 'do not bend' sign printed on. This product is dispatched to you by munks and me.